Strong 2-channel mixer for any occasion! 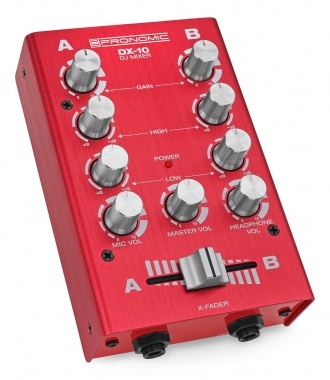 The DX-10 DJ Mixer will be there for you at any party. With its manageable but effective functions, as well as its stable metal construction, it can overcome almost any hurdle. Whether you are at a private event or birthday party or larger event, this reliable mixer won't leave you hanging. 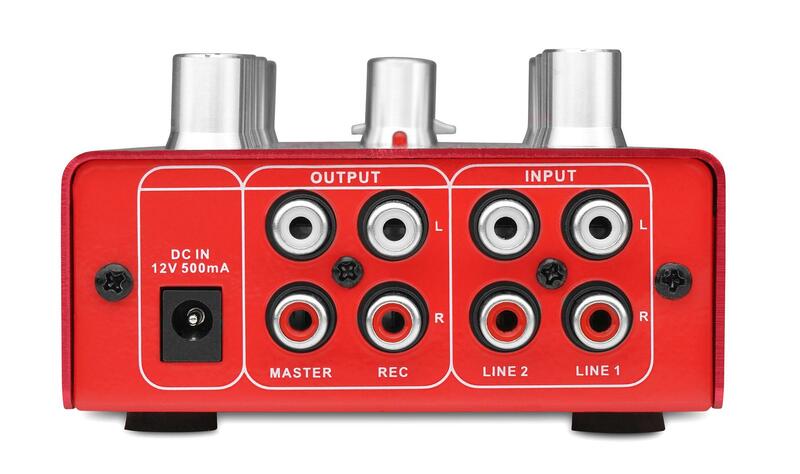 The 2-channel mixer has two channels with stereo RCA inputs so that with the corresponding cables it can be connected to nearly any device from smartphones, tablets and laptops to CDs and MP3 players as an audio source. 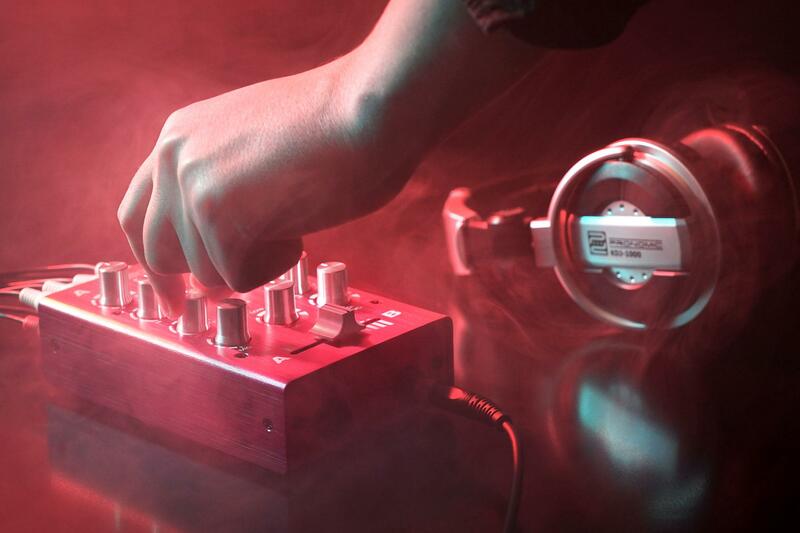 A smooth crossfader changes seamlessly between the two channels, leaving no chance for boredom. 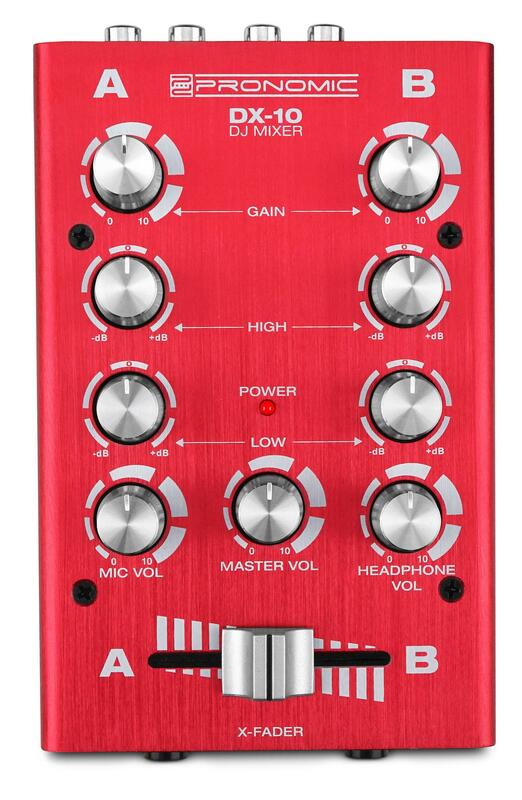 Thanks to the two gain controls per channel, the volume of each device can be regulated. With separate controls for treble and bass, the sound can be easily adapted to the acoustic conditions and also allows for typical effects. 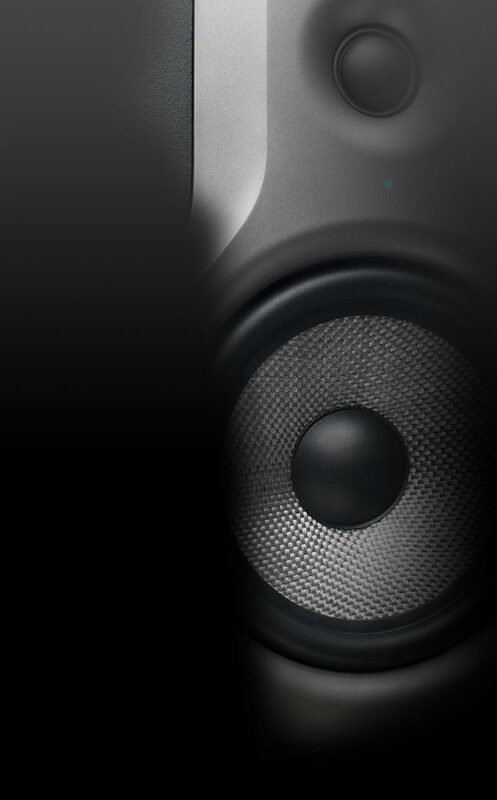 In order to adjust the overall volume comfortably, there is also a master volume control on board. Small dimensions and a solid workmanship mean that this mixer can be plugged in without hogging your space. The metal housing made of steel and aluminum are first-rate to protect the interior of the device and also look first-class! In addition, the dust filter provides for a long life free of unwanted noise. 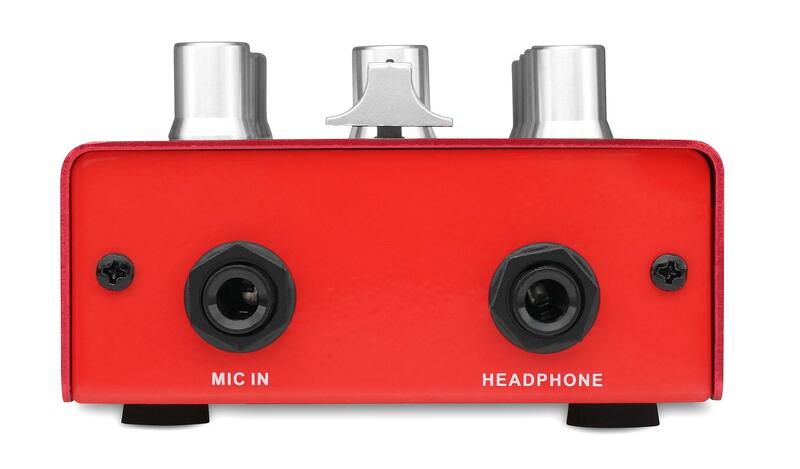 In addition to the two line inputs, there is a microphone input as well as a headphone output at the front. 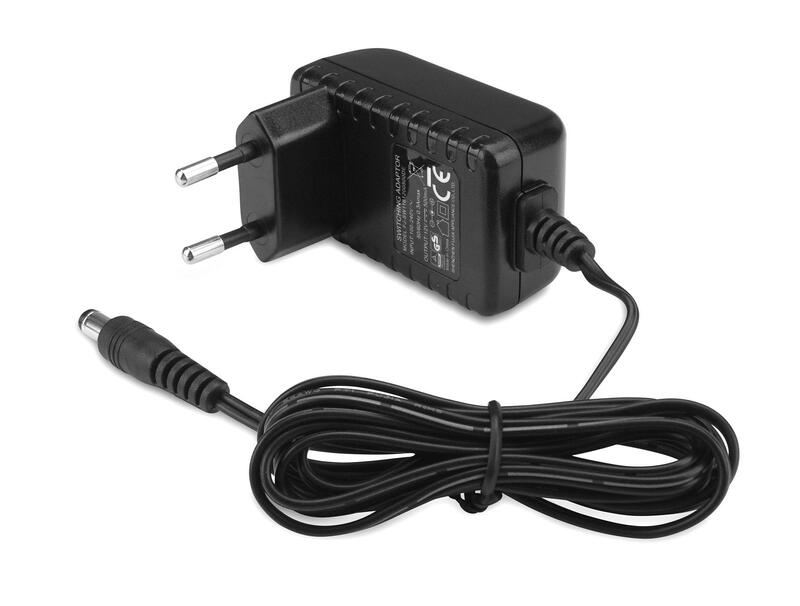 With the record output, it is possible to separate the signal for recordings and other applications. 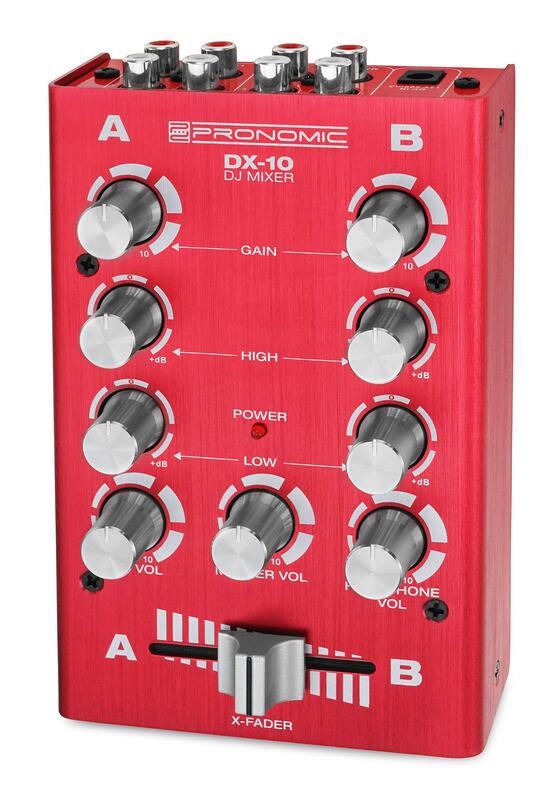 With the Pronomic DJ mixer let the party begin!